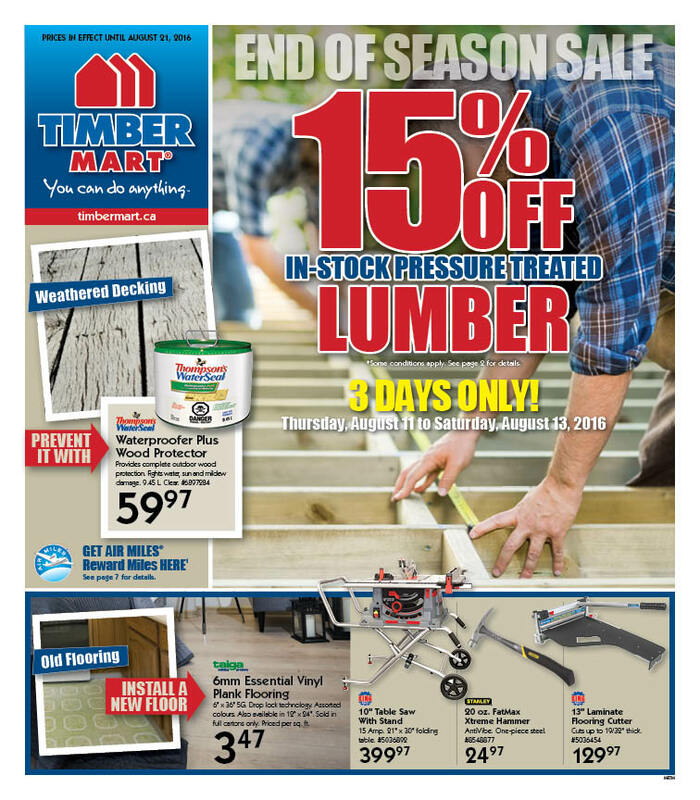 15% Off In-Stock Pressure Treated Lumber & New Flyer! Get 15% off in-stock pressure treated lumber for 3 days only! Thursday August 11 to Saturday August 13. Plus check out great deals in our new flyer with prices in effect until August 21. Siding, fencing, tools and more! Click the flyer below to browse.